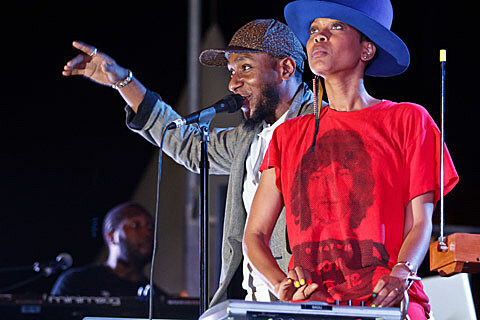 Mos Def, who is now known as Yasiin Bey but is still cool with you calling him Mos Def, is set to headline Chicago’s The Shrine on October 11. That show is one of the handful of dates he’ll be playing this month, and advance tickets are on sale. One of his October shows is with Talib Kweli (aka a Black Star performance), which we saw them do at the House of Blues last year. Talib is also headed to The Shrine this month, on October 31, to play a special “Soul Train Halloween” DJ set. Advance tickets are also on sale for that one. Talib is currently prepping his new album, Prisoner of Conscious, for release on November 20 via Blacksmith Music/Javotti Media. You’ve already heard the album’s lead single “Push Thru,” which features Kendrick Lamar and Curren$y. Maybe he’ll drop another before the LP hits stores.